Let’s start with a much-needed feature, the drawing grid in the background of the screen to be able to correctly position Kanji strokes and their proportions. Japanese schoolchildren also use these grids to learn to write Kanji correctly. Each time you draw a stroke, you will be able to see the current stroke number. This is important because it happens that we hesitate on a stroke, and that we slightly touch the screen. Nothing seems then visible while Android has detected a gesture. You can avoid this problem by making sure that you drew the right number of strokes. IMPORTANT: The previous version contained two buttons for erasing: one to erase one stroke at a time, and another to erase the entire drawing. The second button has been removed to bring more space on the interface, but you can still erase the entire drawing by pressing and holding the erase button. In a nutshell: 1 short click = a stroke erased, and 1 long click = all strokes erased. To personalize the features and help you learn Kanji and Kana, you can now display the point where each stroke starts. It’s a very effective aid to correctly position the strokes relative to each other when you are learning new Kanji. We sometimes find ourselves in front of a white screen without remembering the beginning of a character, but we don’t want to have the full answer either, only some help to find by ourselves. This feature will fully meet that need. JA Sensei does even more: A second mode lets you display the beginning of each stroke drawing! That’s an extra aid if you can’t remember the character despite the starting points. In previous versions, you had a button to animate the drawing of the whole character, and so have a model to observe how to draw the character correctly. The first problem was that the animation could be too fast to have the time to memorize the stroke order, or sometimes too slow when you just wanted a model to draw over it. The second problem is that this model did not stay on screen when you erased your drawing to start over. In this new version of JA Sensei, a progressive bar lets you draw the model at the speed you want while being able to observe a particular detail. In addition, the model stays now on screen and you can even choose to display it partially. 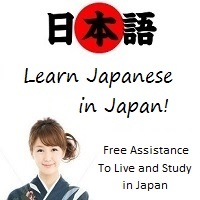 A lot of flexibility that will allow to customize JA Sensei to meet your way of learning. Hurry up guys, it's worth its weight in gold! Advice to enthusiasts! Let's go!